The 30th day of LaLiga Santander starts this Tuesday with Villarreal vs Barcelona as the most attractive match for fans and bettors. The Culés, outstanding leaders of the championship are favorites in betting predictions to overcome a Yellow Submarine that has seen its upward momentum cut after falling against Celta de Vigo on the last day. Despite having built a team to fight for European positions, Villarreal seems destined to suffer until the last day to avoid relegation. The Castellonans are only one point above the red zone, and they squandered a 0-2 in favor against Celta to have taken a giant step towards their salvation. It is clear that the return of Javi Calleja to the bench has served to improve the results, and under his baton have been able to escape the relegation zone after a good number of days submerged in the last three places of the standings, but need to return to the path of victory urgently if they do not want to fall back into the pit. As a local team, the Yellow Submarine has only added three wins in 15 games, with an unfavorable income of 20 goals scored against their fans, and that lack of goal is the main problem for a team that was expected much more considering their performances in previous seasons. 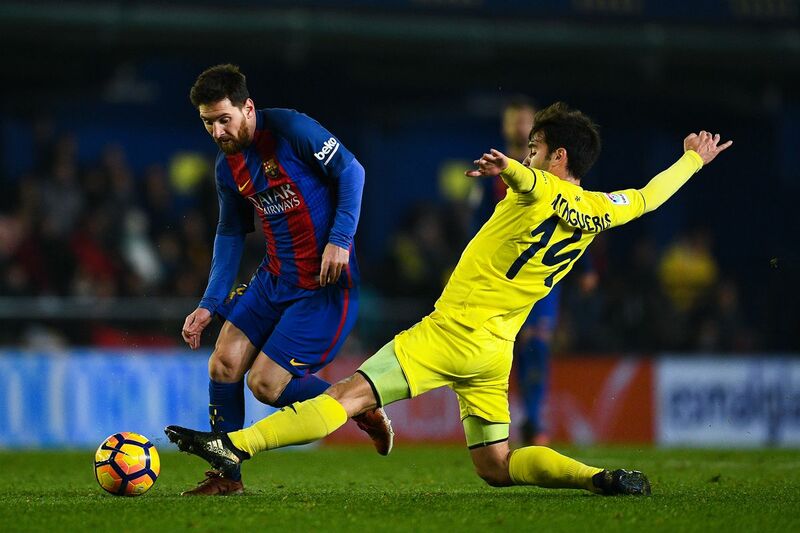 For its part, Barcelona faces this duel after having signed its sixth consecutive victory, a triumph in which Lionel Messi was the great protagonist thanks to the two goals with which the Barca team beat Espanyol. As has already happened in numerous games this season, the Culés played a flat game and no ideas, and only the flashes of quality of the Argentine star could decant a duel that seemed bound to tie. In this way, the Catalan team leads 10 points to Atletico Madrid and 12 to Real Madrid, which suggests that they already have the title under their arms. Their statistics as a visiting team also invite optimism, since they add four consecutive wins, all of them against first level teams, and there are already seven duels in which they do not fall defeated away from the Camp Nou, reason to think they will be able to get something positive from the Ceramic Stadium, surely the three points if they maintain the intensity of the previous clashes and, of course, if Messi continues in a state of grace. If the sensations already point towards the triumph of Barcelona, ​​the statistics come to confirm the possibility that the Culés obtain the three points in this match. The leader of LaLiga has not lost to the Yellow Submarine since 2008, and since then he has signed 16 victories in 21 matches, with victory in the Castellón feud in his most recent visit by a score of 0-2 in which Lionel Messi was the protagonist, with which Barça closed the victory.